Melt butter in a large skillet over medium heat. Stir in onion, chives, and garlic; cook until tender, about 10 minutes. Transfer contents of skillet to a large bowl. Stir in ham, Cheddar cheese, and 1 1/2 cups of bread crumbs. Beat 3 eggs; stir into ham mixture. Sprinkle with salt and pepper. Using your hands, make golf ball-size balls out of the ham mixture. Spread remaining bread crumbs onto a plate. In a large bowl, beat 1 egg; stir in water. 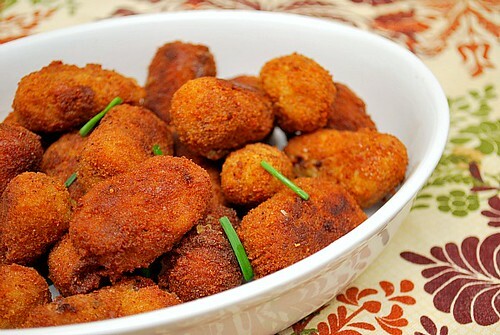 Dip balls into egg mixture, and roll in bread crumbs. Place on a platter in a single layer, cover with plastic wrap and chill in the refrigerator for at least 2 hours. Heat vegetable oil in a large skillet over medium heat. Place croquettes in hot oil being careful not to crowd, frying in batches. Fry until golden brown. Remove to paper towels to soak up grease. 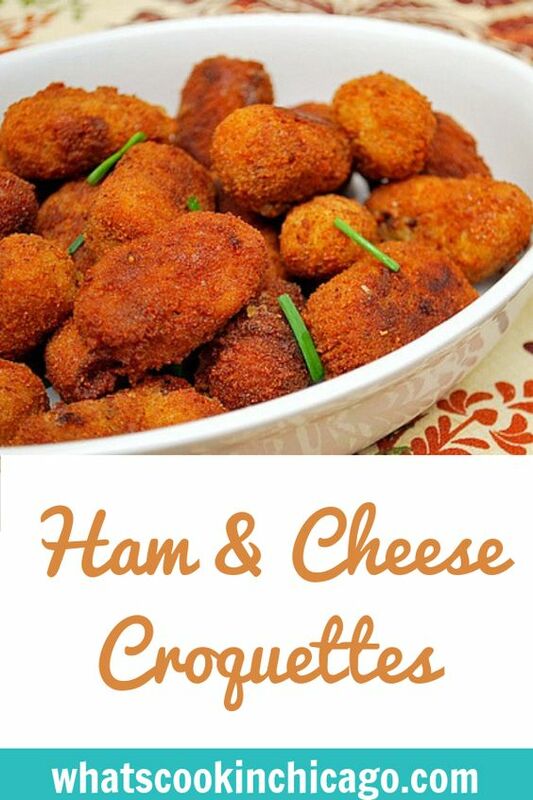 We ate at a Spanish restaurant a few weeks ago and had Ham & Cheese Croquettes. I can't wait to try this recipe at home. We loved the croquettes at the restaurant! I will never forget my first croquette--prepared for me by my host mother in Spain when we were visiting her family in Malaga. I've been in love with them ever since.